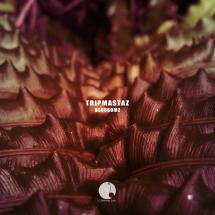 Tripmastaz AKA Andrew Guyvoronsky debuts for Cadenza Lab with the ‘Blossomz’ single; a trio of heady club cuts that typifies his hypnotising house sound and knack for the perfect groove. Originating from St. Petersburg music scene, and slowly emerging as one of the more renowned Russian producers to influence global labels, Andrew has released music for Richie Hawtin’s Minus imprint, DJ Sneak’s own Magnetic Records, as well as other appearances on Cécille Records, Desolat and Shanti, all proving fantastic platforms for his minimal sound and guided musical expressions. Aside from his productions, Tripmastaz who runs his own labels, 74 Records and the vinyl only Tripmastaz label, has also held a residency at the impressive rooftop party Techno Gipsy since 2013, a further accreditation to his career as a Producer and DJ. With an illustrious remix career to match, collaborations with DJ Sneak have pushed him toward close affiliations with the House Gangster Movement and the funky side of house music so clearly important to his work. Lead track, ‘Blossomz’, opts for a captivating percussive groove, whilst vocal samples are put through the wormhole to create rhythmic effects; fans of Mountain People/Sasha Dive will lap up this vibe for sure. ‘Sublimely Relieved (Cuban Linx)’ raises the energy level somewhat; a snaking bassline slithers around the crisp drum pattern seductively, as light keys sprinkle over the dubby house sound. A ‘Bass Dub’ is also offered up, offering an alternate take to round off the release with added weight.